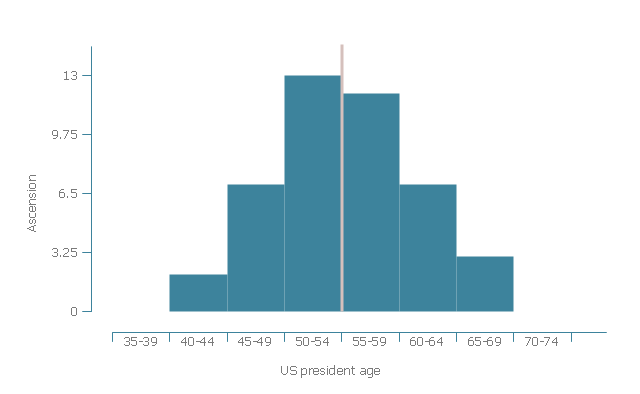 This histogram example was redesigned from the Wikimedia Commons file: Age of presidental ascention.jpg. "Age of US president at date of ascension to office in five-year age groups." 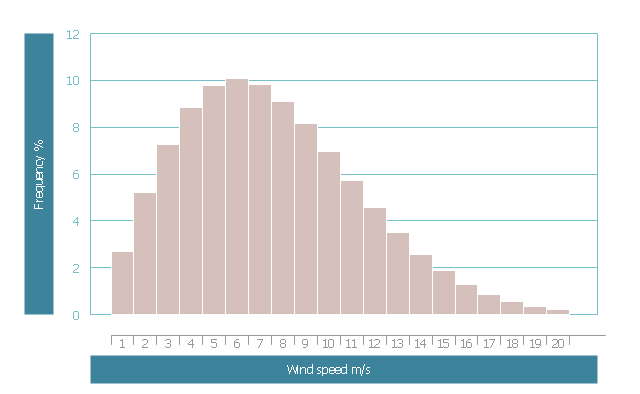 This wind speed frequency distribution histogram example was redesigned from the Wikimedia Commons file: Frekvensfördelning.jpg.